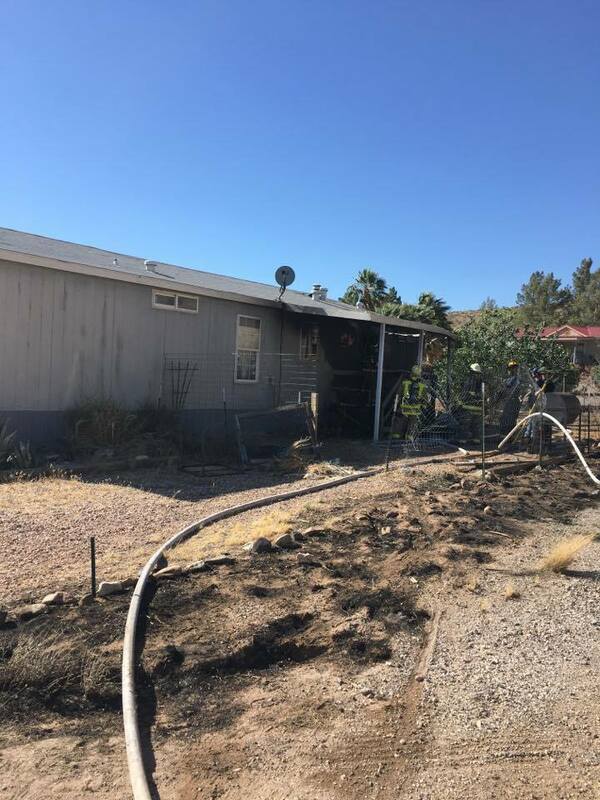 ST. GEORGE — A mobile home caught fire in Beaver Dam after contents from a burn barrel spread to the nearby brush Sunday afternoon. Beaver Dam/Littlefield Fire District responded to the flames near Combe Lane at approximately 5:30 p.m.
One mobile home in the area was burned, and the fire came close to another home, but firefighters were able to contain it just as it reached the structure, Beaver Dam/Littlefield Fire Batallion Chief Andre Ojeda said. 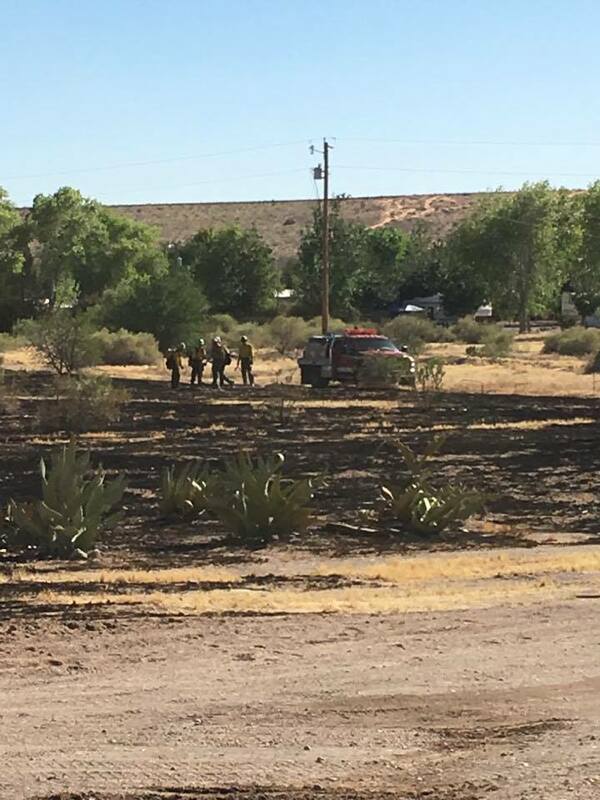 Approximately 1.5 acres of brush were burned. The fire was started when someone was performing a burn in a barrel or pit from which the fire spread due to high winds in the area, Ojeda said. Several surrounding agencies also responded to assist the firefighting effort. Don’t they have trash pick up? 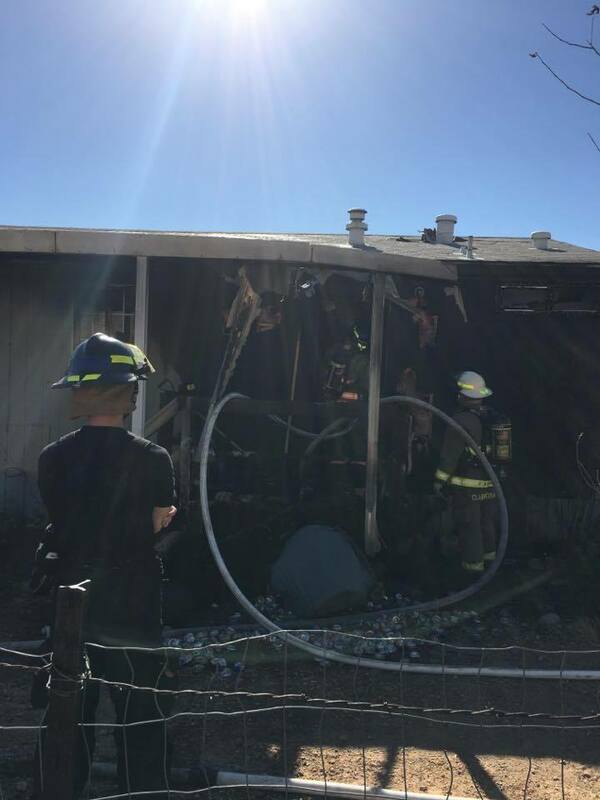 People don’t listen, including two “well to do” residents up North of STG who have been visited twice by the local FD and WCSD. They’ve had bonfires on their property, saying that they are “just roasting hotdogs”. Some day, these idiots will eventually scorch acreage and jeopardize other homeowners. Looks like there are “braindead hillbillies” with money as well. Didn’t this exact same scenario just happen like a week ago. They must have some seriously braindead hillbillies out there in beaver dam. How hard would it be to run a garden hose to where you’re burning? And wait for a day with no wind? And maybe wait ’til cooler fall temps to do all this “barrel burnin'”. There aint no fix for stupid, son. ok, the other was in Littlefield. Same general area, yes?